North Korea’s most recent nuclear test and “satellite launch” changed the Korean peninsula’s political landscape more than Pyongyang had probably anticipated, partly due to Moscow’s stronger-than-usual official criticism. The Kremlin explicitly protested the launch, asserting that Pyongyang had “ignored the global community’s appeals and [had] again demonstrated provocative disregard of international law.” Going further, Russia pressed North Korean leaders to “consider whether a policy of confrontation with everyone meets the country’s interests.” The reprimand’s severity was a bit unexpected, as Moscow has generally avoided directing confrontational rhetoric toward the DPRK’s touchy leaders. Therefore, its description of the test and launch as “irresponsible” and “absolutely unacceptable” actions by “North Korean leadership” leaves no doubt that Pyongyang has exhausted the Kremlin’s patience. Russia’s unusually strong reaction may stem in part from the possibility that the North Korean launch could help to justify deployment of the US Terminal High Altitude Aerial Defense (THAAD) system in South Korea. Russian military experts fear that such a deployment would constitute another step toward the creation of a US anti-missile shield stretching from Alaska to Southeast Asia, a development that may undermine the deterrence capabilities of Russia as well as China. Moscow also has shown irritation with what it considered to be empty accusations that Russia had provided assistance to North Korea’s missile program, dismissing such allegations as “galimatias [nonsense].” The absence of an official channel for such assistance is certain, while the ability of North Korea to obtain relevant material on the black market is doubtful, but if any “Soviet missile technology” has ever found its way to North Korea, it probably came from Eastern European missile producers located outside of Russia. Moscow is also unhappy that North Korean actions led to South Korea terminating its plans to be involved in the trilateral Rajin-Khasan transportation project, depriving Russia of the ability to transport coal directly to South Korea. It has also publicly recognized comparisons between Russia and North Korea as derogatory, indirectly expressing irritation with the DPRK’s behavior. Russia has tried in recent years to avoid outpacing Beijing’s criticism of North Korea, but could Moscow’s recent stern statements mean it is now prepared to go further than China in pressuring Pyongyang? Russia certainly has less to gain and more to lose than China by continuing support for the DPRK, especially when North Korea’s behavior may result in beefed-up US forces in the region, greater instability, a heightened possibility of military clashes, and the potential for a full-fledged US missile shield in East Asia. Of course, while Moscow pursues a policy that addresses its own national security interests, it has to be mindful that overzealous criticism of North Korea could cause tension with China. For this to happen, however, the two powers must understand the differences and commonalities of their respective conceptual approaches. To achieve some common ground, each side must evaluate the Korea policies of the other, which they have traditionally viewed with suspicion. Russia believes that the United States aims to eliminate the North Korean regime, with dangerous consequences for its own national security; the United States, for its part, has virtually written off Russia as a useful actor in Korean affairs, or at least as the key outside actor in dealings with the peninsula. Russia’s approach to the Korean peninsula is rooted in more than 160 years of shared history, including the USSR’s role in the North’s founding. The Soviet Union’s collapse essentially ended Russia-DPRK relations, however, and the resulting decline in Moscow’s influence over Pyongyang has encouraged other countries to ignore Russian interests on the peninsula. Reduce tension in Northeast Asia, allowing multilateral economic projects to be carried out with participation from South Korea and China. The fall of the North Korean regime would harm Russia, even though the dictatorship is disliked by much of Russia’s elite and wider society. A North Korean collapse could mean a full-fledged military conflict and refugee crisis on Russia’s border. It would take an enormous toll on Asian economies, which are increasingly essential to Russia’s own economic health. 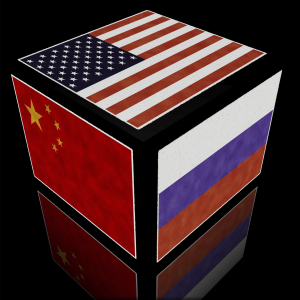 It would ruin the existing balance of power and demand a very costly reaction not only from China, but also from Russia. Moscow has learned the lesson of NATO’s expansion, and it is not willing to let the same thing happen to its east. The Russian mainstream believes that US policymakers could never accede to the continued existence of the North Korean regime, which the American public has long seen as a horror story. From Russia’s perspective, Americans favor bringing down the dictatorship as a matter of honor, given that they had tried and failed to do so during the 1950-1953 Korean War. Therefore, all US efforts to negotiate with Pyongyang appear to Russia as nothing more than political cover and while tactical compromises may seem possible, Moscow is certain that Washington remains intent on achieving regime change in North Korea in the decades since the war. It points to recent assertions made within the United States to support this thinking, including statements that North Korean denuclearization can no longer be achieved through negotiations but only through a change of the regime or its leaders. Russian experts admit, though, that the United States and South Korea are unlikely to act alone to topple the North Korean regime through military force, as the price for such a move appears unacceptably high. A large-scale conflict on the Korean peninsula would kill an enormous number of South Koreans and Americans, not to mention many North Koreans, and it would place China in a direct confrontation with the United States. Washington is not willing to undertake the major war in the Pacific that would result, but attempts to undermine North Korea’s regime still appear likely to increase. Some Russian analysts go further, arguing that the United States has a vested interest in maintaining a controlled level of tension between North Korea and its neighbors. They contend that the friction between North Korea and nearby states allows Washington to maintain a large military presence, modernize its weapons, keep its allies on a short leash and place pressure on China. Yet Pyongyang is unlikely to be dissuaded from its nuclear and missile ambitions by the current US policy of “strategic patience,” or even by the more proactive US policy of pressure and isolation that seems to be in the offing. Sanctions against the DPRK also have proven ineffective; since the country’s first nuclear test in 2006, no sanctions have prevented the DPRK from further enhancing its nuclear-missile potential. It is clear then, that no amount of economic or other pressure on its own could prompt the North Korean regime to change its behavior on this matter critical to its security and national identity. This seems to be the main source of misunderstanding between US and Russian approaches. The United States sees Russia’s reluctance to pursue sanctions and pressure as evidence of leniency towards the North Korean regime, but Russia still hopes that diplomacy can achieve their common goal of tension reduction and eventual denuclearization. The problem for both sides is that attempts at pressure and diplomatic outreach simply have not worked. To achieve a fruitful level of US-Russian cooperation on Korean matters, the powers should agree to a compromise: Russia would support US policies to whatever extent does not threaten the stability of the DPRK and the regional status quo, and the United States would accept Moscow’s assurances that Russia does not support any North Korean military or WMD programs. Further, the sides could seek to negotiate a new security framework for Northeast Asia, potentially creating a future platform from which to resolve the North Korean nuclear issue. This would need, of course, a high level of cooperation with China, which could be difficult to achieve if Russia is overactive in dealings with the United States. Clearly, this approach would require careful and balanced diplomacy. Russia could become a “keeper” of agreements, assuring current or future North Korean leaders that the United States would not threaten or undermine the DPRK regime. Of course, the United States must first become amenable to such a change. This arrangement might not be fully in sync with the current goals of US strategy in Asia, but it could become an experiment in maintaining sub-regional security through a “concert of powers.” Of course, it would represent a sea change in the dynamics of the region. Moreover, Russia could cooperate in bringing reforms to North Korea (which are already underway) for its marketization and liberalization, helping to “conventionalize” the country and normalize its behavior. South Korea may then see evidence of a long-term change in the North, potentially paving the way for eventual creation of a “union of states” and possible unification. In the meantime, the diplomatic process could aim to freeze the DPRK’s nuclear and missile programs, which remains an extremely important goal. The negotiating process itself is no less important than its result. If the real goal is to eliminate the North Korean regime, however, diplomacy cannot work. If this is the case, there is no alternative to the rule of force—including the potential use of nuclear weapons. Russia. Ministry of Foreign Affairs. Foreign Ministry statement on North Korea’s rocket launch. February 2, 2016, http://www.mid.ru/en/foreign_policy/news/-/asset_publisher/cKNonkJE02Bw/content/id/2064271. Russia. Ministry of Foreign Affairs. Foreign Minister Sergey Lavrov’s speech at the ministerial panel discussion during the Munich Security Conference, Munich, February 13, 2016, http://www.mid.ru/foreign_policy/news/-/asset_publisher/cKNonkJE02Bw/content/id/2086892?p_p_id=101_INSTANCE_cKNonkJE02Bw&_101_INSTANCE_cKNonkJE02Bw_languageId=en_GB. Analysts continue to dispute what threat a THAAD system in South Korea would pose to Russian missile potential, as Russia does not anticipate any need to direct its missiles toward South Korean territory. Still, the Russian Foreign Ministry summoned South Korea’s ambassador to Moscow for a meeting to discuss the matter, and the office separately conveyed its criticism of the launch to the North Korean ambassador. “Complete nonsense and nonsense: Rogozin commented on rumors that Russia gave North Korea’s missile technology,” News-rbk, February 8, 2016, http://newsrbk.ru/news/2837512-polnaya-chush-i-ahineya-rogozin-prokommentiroval-sluhi-i-o-tom-chto-rossiya-peredala-kndr-raketnyie-tehnologii.html. “Cameron has compared Russia to North Korea,” Russia-24, February 13, 2016, http://www.vesti.ru/doc.html?id=2720040. Moscow maintains that North Korea’s nuclear program threatens the global nonproliferation system, a position essential for Russia to keep its privileged position in the global community. Russia also holds that North Korean nuclear tests and space launches could pose a practical threat to the Russian Far East in the event of a mistake or malfunction, even though the North Korean activities are not actually directed against Russia. “North Korea’s Hydrogen-Bomb Statement,” The Wall Street Journal, January 6, 2016, http://www.wsj.com/articles/north-koreas-hydrogen-bomb-statement-1452060894. Another new idea calls for China to help install a new, less confrontational North Korean regime, but it is uncertain if this proposal can gain traction. An alternate pro-Chinese regime in North Korea could not solve every problem, even if the transition were peaceful, and it would leave Russia out in the cold.